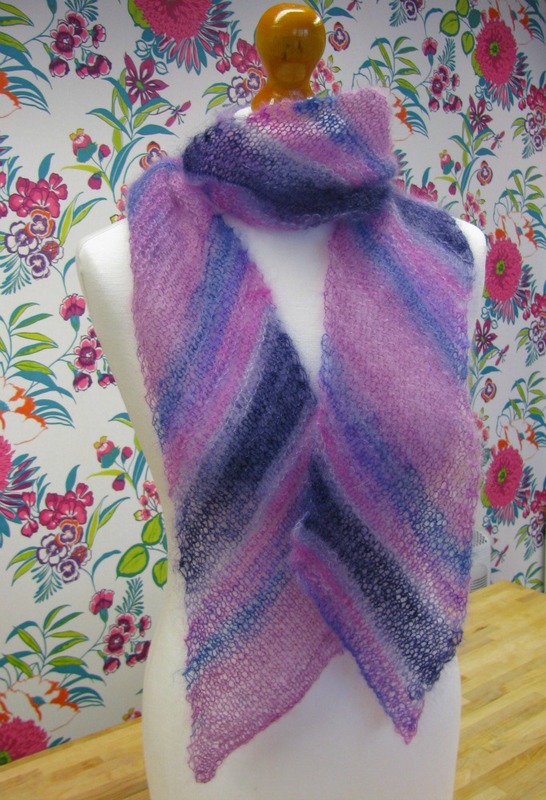 Last week we showed you our new yarn Angel Print. 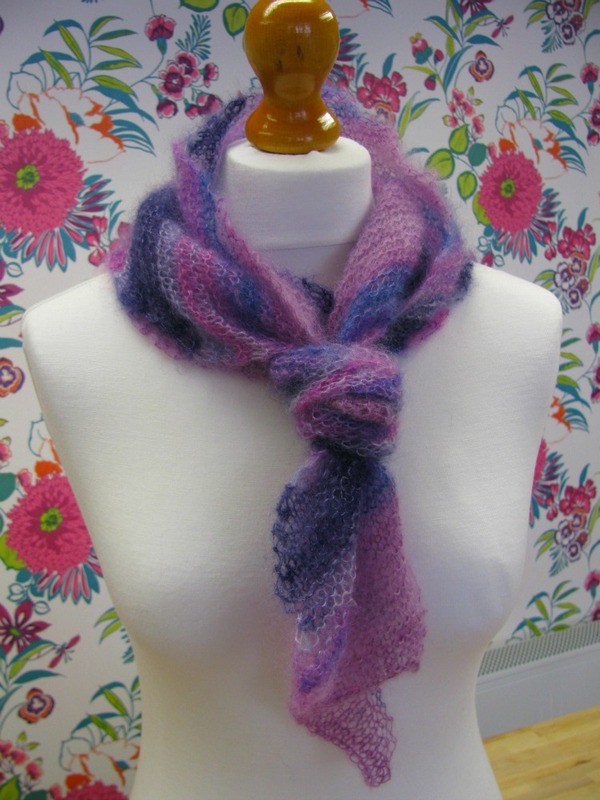 The scarf would look great in our solid and sparkly Angel colours too. 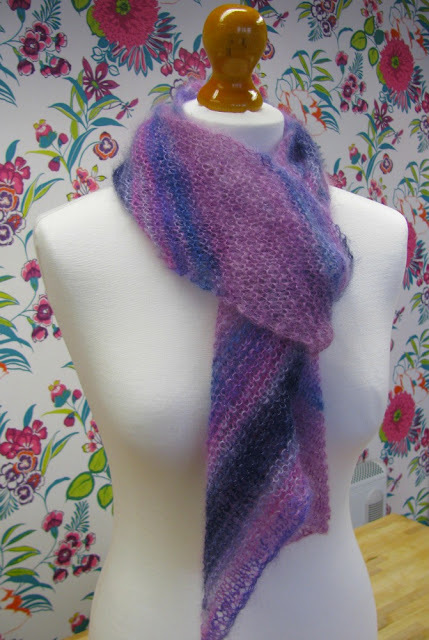 wrapped up like a present! 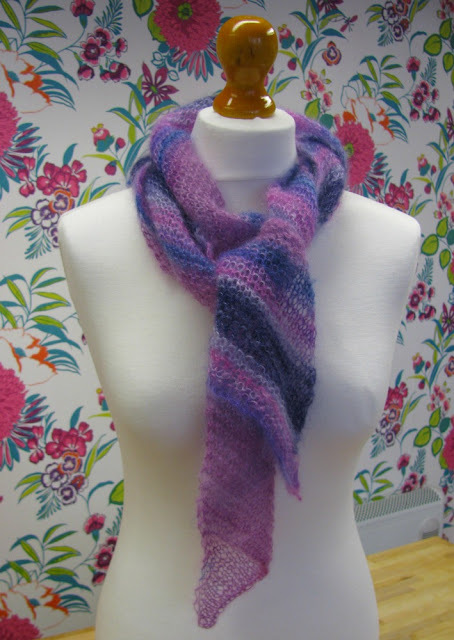 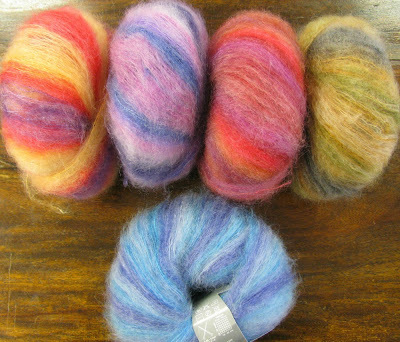 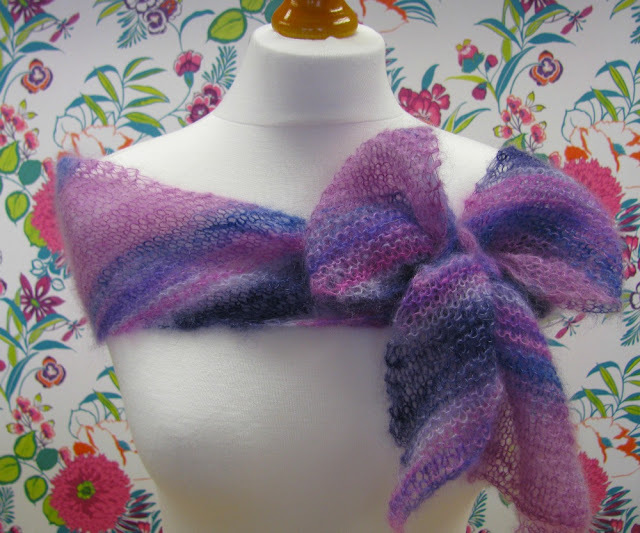 The scarf only takes 1 ball (£8.95 for 25g of mohair and silk) and we'll provide the pattern for free.